SAN FRANCISCO -- Given the Cougars' history the last two years against terrible Stanford teams, I wasn't taking anything for granted heading into today's game, even though WSU was a 10-point favorite. As it turns out, I could have taken plenty for granted -- and then some. 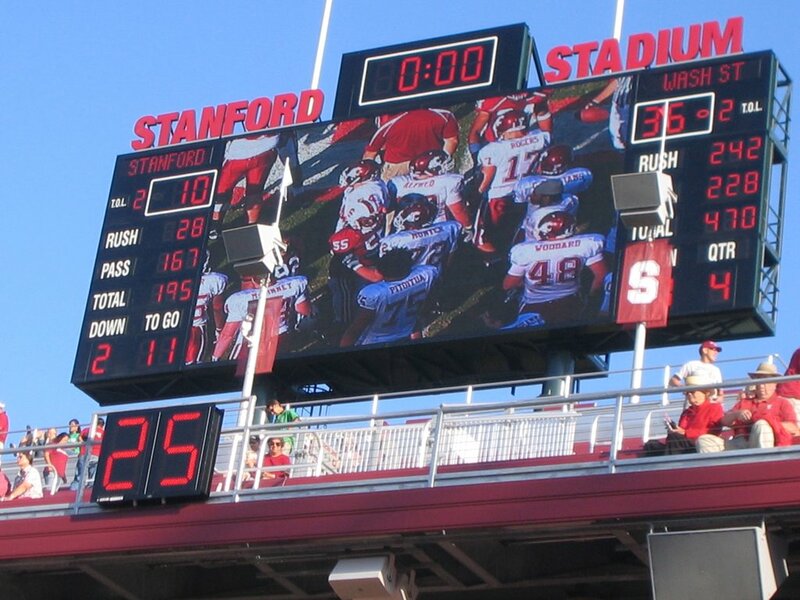 The Cougars ripped Stanford, 36-10, in a game that really wasn't even that close. 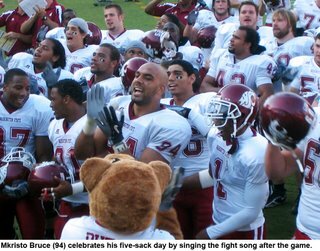 WSU completely dominated both sides of the line of scrimmage, highlighted by Mkristo Bruce's school-record five sacks and 240 rushing yards for the offense. Bruce was unstoppable. The few times he actually was stopped usually were the result of a stiff double team or an outright hold. However, he owes a big high-five to the defensive secondary, which absolutely put the clamps down on Stanford's young receivers, allowing him time to get to the quarterback. Offensively, Stanford had absolutely no answer for the Cougars. WSU marched up and down the field all day, and if it weren't for three lost fumbles, the game might have been more like 45-3. As it was, the Cougs did pretty much anything they wanted all day. Coming in, WSU knew Stanford's rushing defense was suspect, and they rotated all three of their running backs effectively to keep fresh legs running the ball hard. The best move of the game was a cut off the edge of the line by Darrell Hutsona, who did his best Reggie Bush impersonation by faking like he was going wide then cutting up into the hole to leave a safety wondering where he left his undergarments. Much to many WSU fans' chagrin, Alex Brink again looked steady. He drew fans' ire in the first quarter when he fumbled a QB sneak on Stanford's 1-yard-line on the team's first drive. However, he was solid thereafter, throwing for a pair of touchdowns and sneaking another in (this time, without fumbling). He finished 21-of-33 for 228 yards, taking only one sack. Those numbers again included a few drops. Incidentally, Gary Rogers did not play, save for a couple of handoffs and a kneeldown at the end of the game. The most surprising thing of the day had nothing to do with the game itself; it had to do with the lamest atmosphere I've ever been around for a college football game. The attendance was announced at 37,498 in the brand spanking new 50,000 seat Stanford Stadium, but the actual attendance was probably about half that. There was no band; apparently, the bandies got themselves in trouble when they ripped apart some school property earlier this summer and are now on double secret probation. 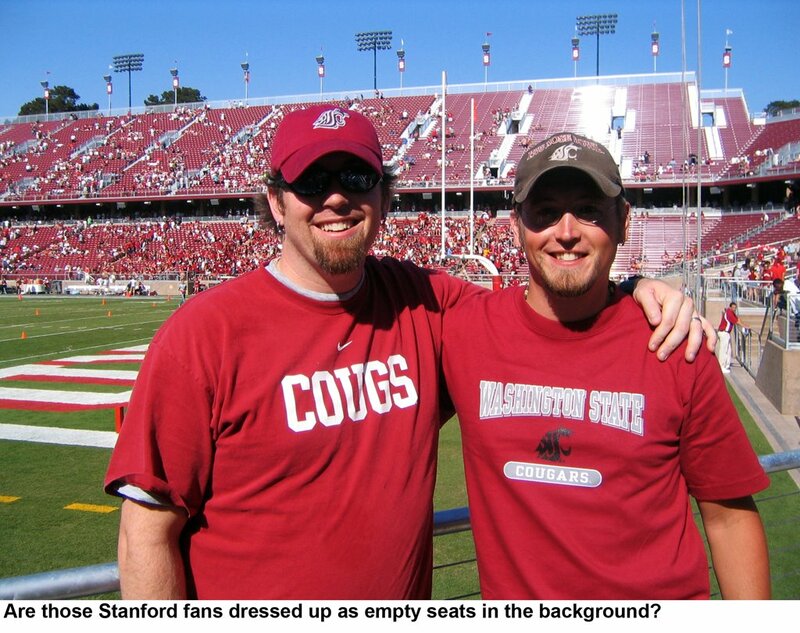 Overall, I think the Coug fans in attendance were much louder. All in all, it was an awesome day, made better by getting to hang out with my brother.